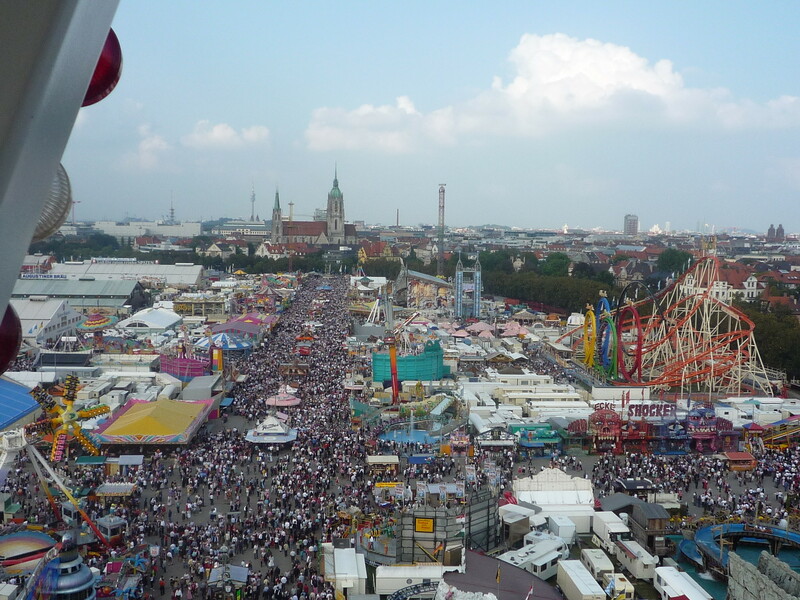 The Oktoberfest is the world's largest Volksfest and a combination of beer festival and travelling funfair. Annually held in Munich, it is a folk festival running from late September to the first weekend in October, with more than 6 million people from around the world attending the event every year. 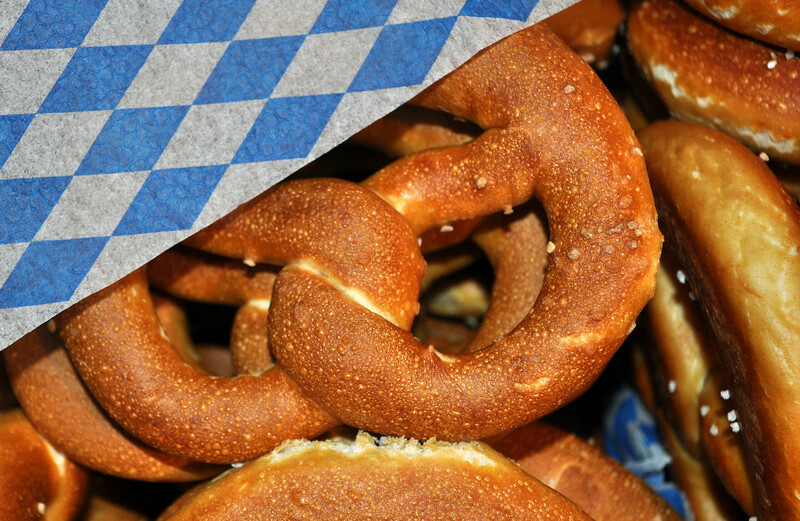 The Oktoberfest is an important part of Bavarian culture, taking place since 1810. During Oktoberfest the city center of Munich is full of visitors from all over the world and the city boasts of joyful people. 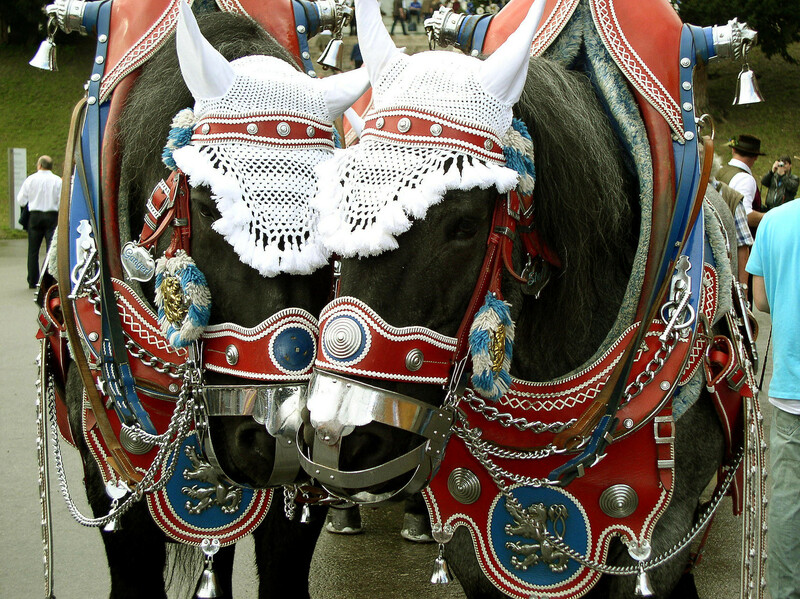 Many Bavarians and visitors dress up in traditional Bavarian costumes like Lederhose or Dirndl to contribute to this very special atmosphere. 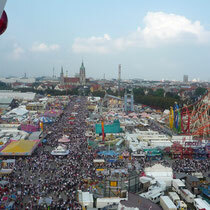 The festival is held in an area named the Theresienwiese often called Wiesn for short, located near Munich's center. 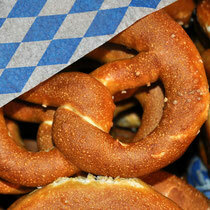 Large quantities of Oktoberfest Beer are consumed, with more than 7.7 million liters served during the 16-day festival. 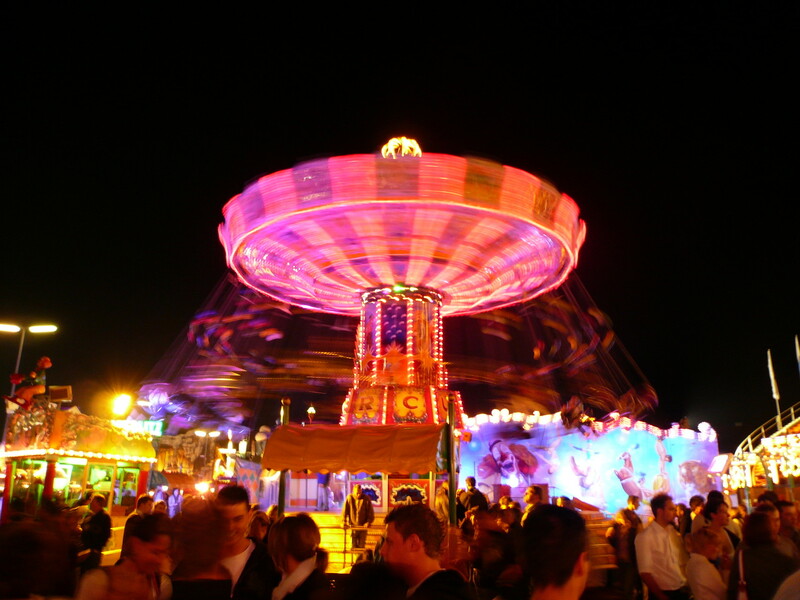 Visitors may also enjoy a mixture of attractions, such as amusement rides, sidestalls and games, as well as a wide variety of traditional food such as Hendl (roast chicken), Schweinebraten (roast pork), Schweinshaxe (grilled ham hock), and many others. The fair grounds are open from 10.00 hrs to midnight. The festival is open to the public and there are no entrance fees charged entering the grounds for a stroll, amusement rides or a typical specialty at one of the many stands. Nevertheless, one of the most attracting highlights of the festival are the many beer tents, which Munich’s largest and most traditional breweries host. Beer is served by the liter and so is typical Bavarian food. 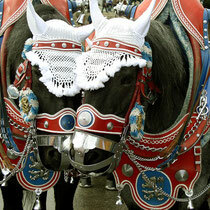 Live brass bands are playing traditional Bavarian music as well as more up-to-date music. Hundreds of people from all over the world are dancing and singing along and are having great fun. More than 14 large tents with a capacity of up to 7.500 people per tent are inviting for a fun afternoon or evening. Additionally, some smaller tents invite with a more quiet and traditional atmosphere. The opening hours of the tents vary, but overall, most opening times are on weekdays from 12.00 hrs, on weekends from 10.00 hrs, closing is at 22.30 hrs. The big challenge is to get a seat in the tents, as guests are only are served when having a table. The tents are open to the public, and normally everyone can come in. However, if the tents are full, the waiting lines outside of the tents are usually getting quite long. Therefore, all tents reserve a certain amount of tables for a specific time slot, so that clients avoid waiting lines and get a guaranteed space. Still, the demand is very high during the evening and on weekends. An alternative to the tents at the Octoberfest is the "Wiesnzelt" at Stiglmaierplatz in the famous Löwenbräukeller, an event that offers live band and DJ – all in one place and guaranteed without closing time! 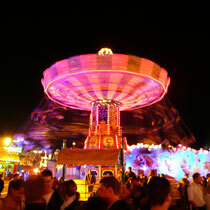 The "Wiesnzelt" at Stiglmaierplatz is just 2km from the "Theresienwiese" where the Oktoberfest takes place. Table reservation, also on the weekends is more likely here for groups and one can stay longer than in the Oktoberfest tents.